As you may have noticed, parts of sourthern Ontario are going through a prolonged dry spell. 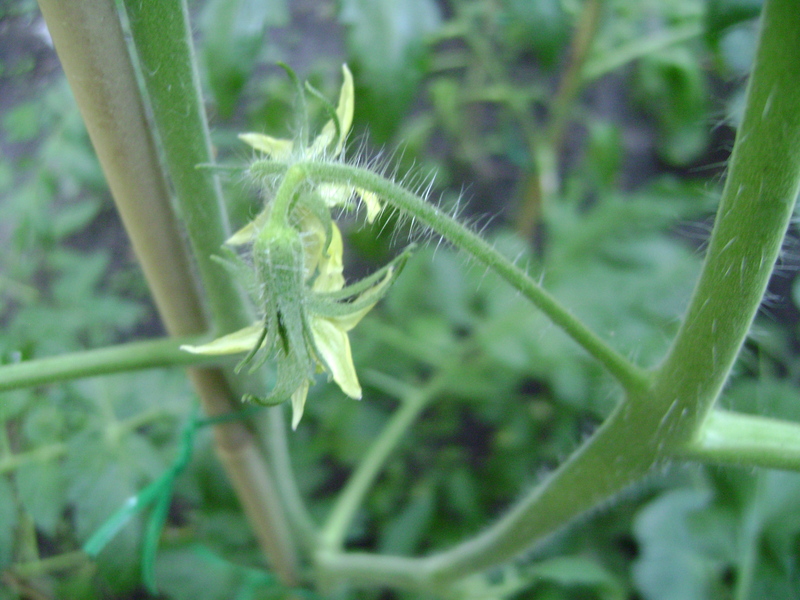 Most gardeners can overcome this by simply watering with a hose. For me, however, it’s a little more labour intensive as I must fill a watering can from the basement tap and lug it up to the garden. It takes about five to seven cans to water everything I’ve planted, which doesn’t include the foliage that was already there. The first few times were okay. But trying to do this every day or even every other day has proven difficult not just logistically but also physically. My knee isn’t happy nor are my back, shoulder, and arm; hence, the slow or lack of horticultural results for which I feel stupidly guilty. Fortunately a solution is in the works. 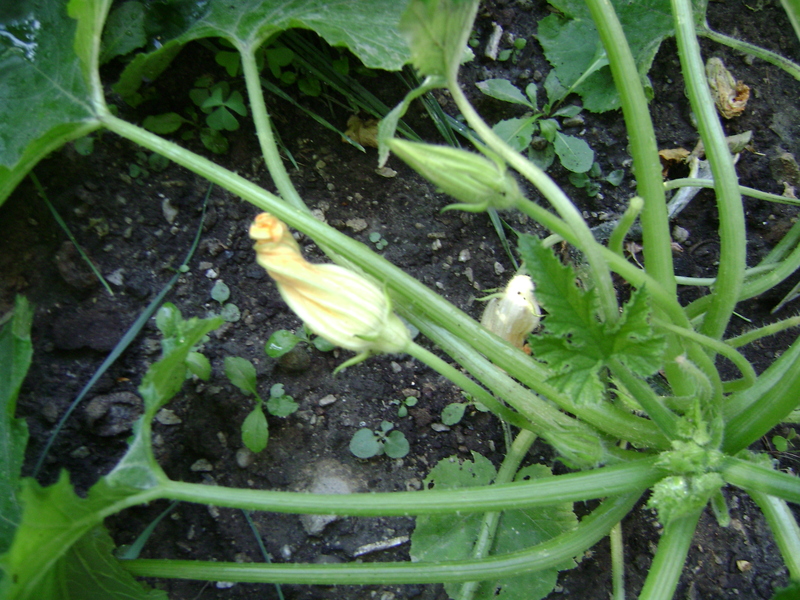 I did manage to get out today and found two little flowers on my tallest tomato plant as well as a couple on my zucchini. Fingers crossed for fruit. 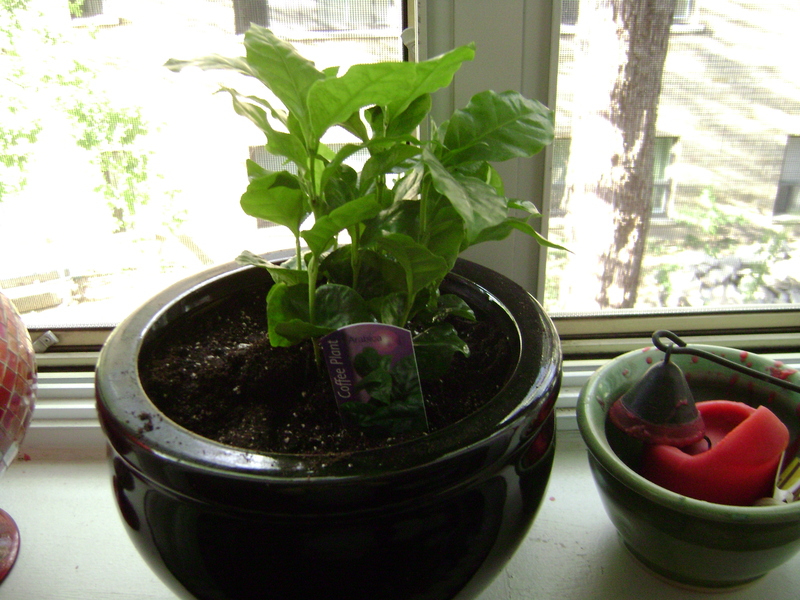 In the meantime, I’ve been entrusted with an Arabica coffee plant. My coworker, John, was given the plant by a customer to whom he returned a missing cellphone. A lovely gesture, but John has a bit of a brown thumb. So I offered to take the little sprout in. From what I can see, it’s an indoor plant that requires a quite a bit of attention: Sun, but not a lot. Water, but drain excess. Fertilize, but moderately. A drama queen in a pot. And you can’t consume the results. What the hell? What’s the point of a coffee plant if you can’t drink the coffee? That’s like decaf or dealcoholized beer! I hope it’s aromatic . . . or produces flowers at the very least. Time to do some research.